Investigators with Constable Mark Herman’s Emissions Task Force Unit conducted a “curbstoning” investigation at the Conoco Fast Inspection & Lube located in the 14100 block of Telge Road. 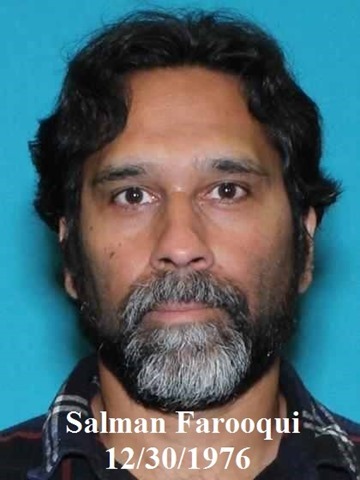 The investigation revealed that the business owner, Salman Farooqui is a licensed salvage vehicle dealer, however he is not licensed to sell vehicles at the location due to it not being a licensed premises. 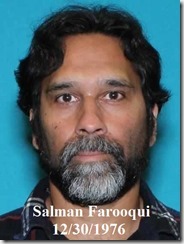 Salman Farooqui was issued a citation for a Class C Misdemeanor, Dealer Display / Advertise Vehicle off Licensed Premises. Deport him for selling cars? You have a warped view of society. It’s really no difference than putting a for sale sign in your car and parking it in a visible location. I fail to see a problem, but I guess the county isn’t collecting a tax if he sells cars at a different location? I wish they would deport him, and everyone of his ilk, back to where he came from.